From dive bars to stadiums, from local bands to legends, I’ve been lucky enough to see a lot of awesome shows. Sometimes you know what you’re getting into and sometimes you’re just taken by surprise and turned on to an artist that you didn’t like before. These things have happened to me before and I hope they continue! This list is my 5 favorite major concerts that I’ve attended. These are the ones that have inspired me and helped shape my view on what makes a good rock show. 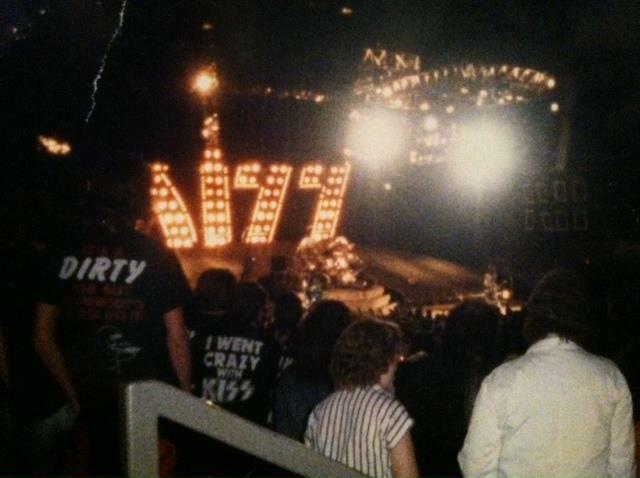 My view of KISS at the Carolina Coliseum on 2/16/88. I saw my first show on February 16, 1988 at the Carolina Coliseum. It was KISS on their Crazy Nights tour. Ted Nugent opened. I was 9 years old. To my childhood self, the show was incredible. I was seeing a band that I had loved for as long as I could remember. Looking back now, the show (from the turn-out, to the set list, to the performance) kinda sucked. But it was enough to get me hooked. Since then I’ve seen almost everyone I’ve ever wanted to see. Sure, there’s some that got away, but not many. The ones in this list are the ones that have blown me away. When people ask me, “what’s your favorite show,” it’s always one of these. I figured it was now time to just put it out there and give my reasons! Performance wise, this wasn’t the best KISS show I’ve seen. Not even close. BUT, this was the final night of their American Farewell Tour. It happened in Charleston, SC. I happened to have my best seats at a KISS show that I’ve ever had. Third row. It also happened to be the LAST time that the four original members of KISS played together. 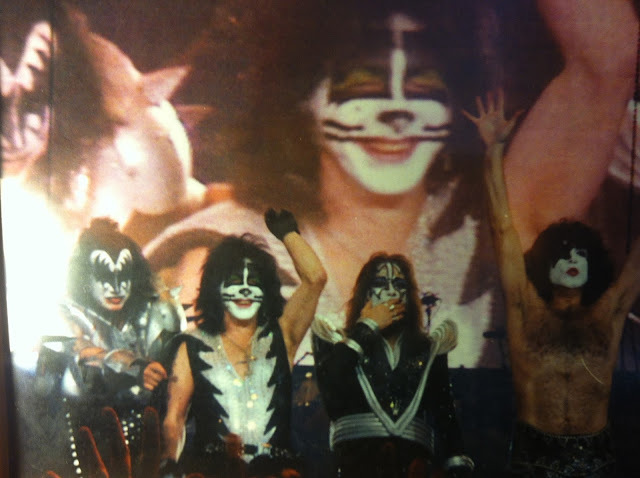 At the very end of the show, much to Gene Simmons’ chagrin, Peter Criss threw his drum kit down from the riser piece by piece before holding his arms up triumphantly. It was pretty obvious that the rest of the band wasn’t really aware that it was going to happen. Peter had started to paint a tear drop on his make up in order to protest an upcoming contract negotiation. Things weren’t going well in the KISS camp at the time. In fact, there were rumors that the final couple of shows would be cancelled. Luckily for me, they weren’t (as I attended the night before in Charlotte as well). It was the 5th and final time I had seen them on the Farewell Tour. As KISS has always been my favorite band, I couldn’t take the chance that they would, y’know, keep their word and retire. Even if they didn’t, and it was just a “farewell to the original band,” I did get one of my favorite shows for sentimental (and KISStoric) reasons. As much as I love ’em, I hope they never take that away from me by playing together again. I’m perfectly content with the version that’s going on now, though Paul Stanley needs a break! Like with KISS, I’ve been luckily enough to see Prince live several times. While ALL of his shows have been good to great, this one was mind blowing for one reason alone, the acoustic set. That acoustic set in the middle of the show was just phenomenal. Prince is at home with the full backing band with horns and back up singers. It’s not as often that you get to see him stripped down to just him and a guitar. It makes Prince, who’s often “a riddle wrapped in an enigma wrapped in a vest,” someone that you can actually relate to. It was just something to behold. The version of “The Beautiful Ones” was also ridiculously awesome. And of course, any time you get to hear that solo to “Purple Rain” played live in an arena full of people, it always gives you goosebumps. I think the only thing that could top this Prince show for me would be the full on guitar rock show that I’ve always wanted to see. 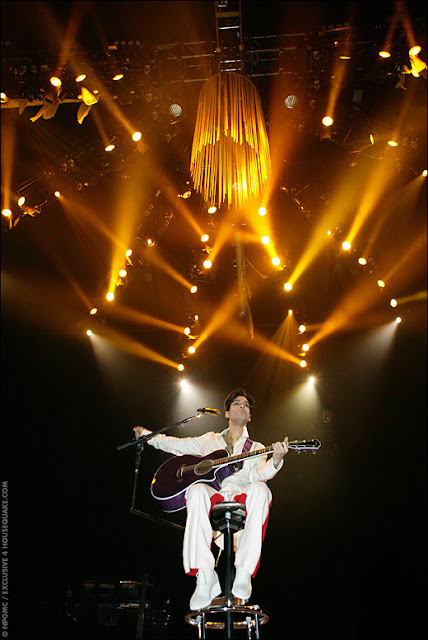 Of course, with his passing last year, I'll have to rely on videos to get my fix of the Prince guitar rock show. Just look at that set list up below! His backing band was incredible. His performance was amazing. He was BOWIE. It was the 3rd time I’d seen him, but it was the first time I’d seen him actually look comfortable. On the Outside and Earthling tours, it seemed like he was simply playing the characters. Here, he seemed like himself. This was the first time I had heard several of my all time favorite songs live. 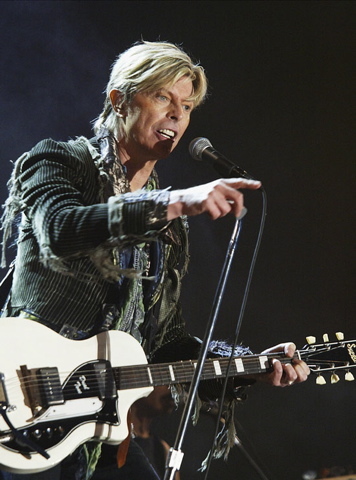 He ended the main set with a rocking version of “Heroes” before coming back for an abbreviated encore of two Ziggy era tunes. Personally, I was thrilled that he hit several tracks from his then new album Reality. He actually did FIVE tracks from it. I loved that disc. I didn’t want a hits set list. He hit pretty much every era of his ridiculously incredible career. He included the popular songs, some more obscure ones and the new ones. It was a great blend. Check the DVD release of this tour. You certainly won’t regret it. I totally lucked into this one. I wasn’t supposed to go. 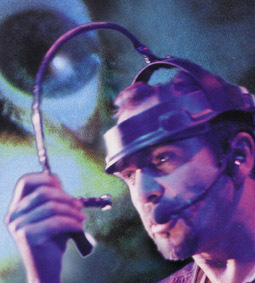 Honestly, I didn’t care for Peter Gabriel. I was staying with my brother in Georgia and for whatever reason, I ended up staying a few extra nights. He and his wife were going to this show and brought me along. Man, am I glad they did. It was the first time I had ever seen staging that elaborate. 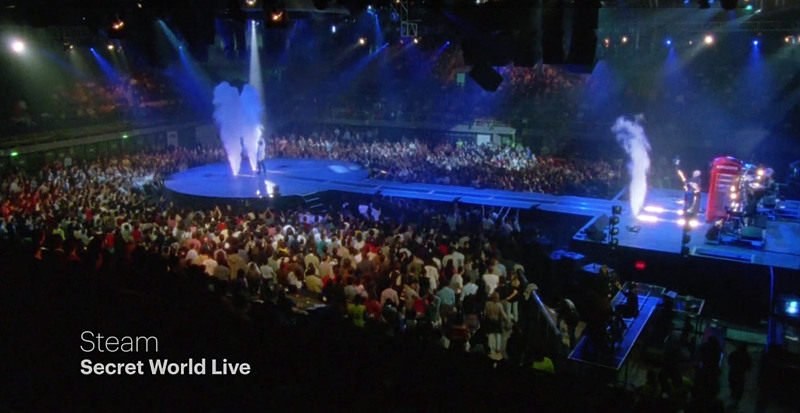 By today’s standards, the stage in that picture doesn’t look THAT incredible, but in 1993, it was absolutely amazing. When you consider that catwalk in between the two stages also had a conveyor belt on it and there were trap doors everywhere that enabled effects, it seems much cooler. There was even a huge freakin’ dome that came down over the circle stage a few times. It was like a space ship to me. It was awesome. Gabriel also, at one point, packed his entire band (which included Tony Levin on bass and Paula Cole on vocals) into a suitcase and carried them to the other end of the stage. The visuals were just incredible. I’m running out of superlatives to describe it. The only way to understand is to have been there. The next best way is to witness the video that was released of the tour, and is now conveniently available on YouTube in its entirety! I walked out of that show thinking that all of a sudden Peter Gabriel was ridiculously cool. That one show made me a fan of his work. And for 19 years it held the top spot on my list! OK, have you ever had someone build something up as being super awesome before? In the back of your mind, you think that it could never possibly live up to what the person is making you think it is. This happened to me regarding this tour. I was told over and over again how I shouldn’t miss it. I was told that it was the most amazing thing ever. I figured it would be good, but not the greatest thing since Peter Gabriel’s Secret World tour. To my utter shock and amazement, I was actually under sold on it. I couldn’t believe what I was seeing. 90% of the show, I sat with my jaw on the floor. The epitome of the big arena rock show. There is NO way I can do this show justice in words. 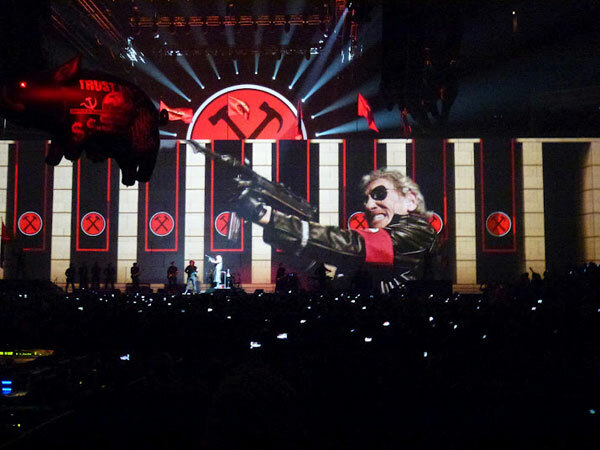 The Wall doubled as a video screen that stretched the entire length of the arena. The musicians on stage interacted with the projections. There was one point in the set where Waters slammed a fist into the wall and it exploded into a technicolor nightmare. Giant inflatables and enough anti war sentiment to bring you to tears, especially during “Vera.” To see Gerald Scarfe’s animation from the movie come to life on that screen in front of you was incredible. 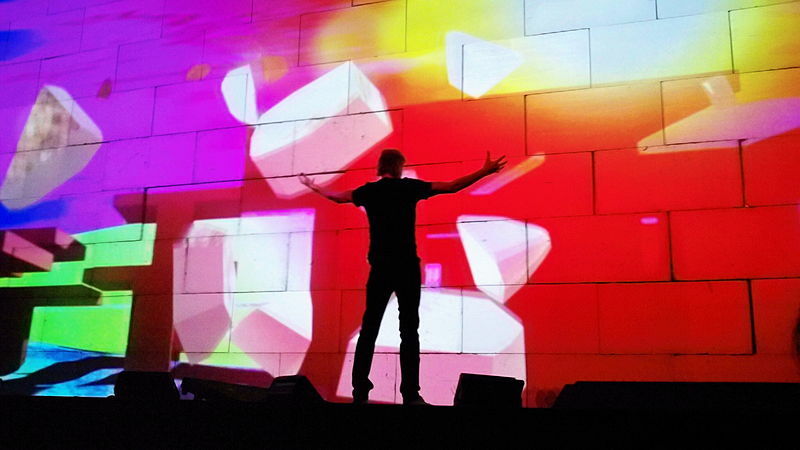 During “the Trial,” it appeared as if the Wall turned 360 degrees. There was another moment where the Wall appeared to explode. Even though I KNEW it was just a projection on a screen, I still instinctively ducked as it looked like it would hit me. It was THAT real. The pig was there, the giant circular screen was there. The hammers were there. The freakin’ plane crashing into the stage was there. Everything was there. This is a show I want to see again. And again and again and again. It’s that good. If watching a performance on YouTube can give you chills, imagine what it’s like being there in person. This show should never be retired! Hopefully the (now) 73 year old Waters decides to keep it going. While there’s a ton of other shows that I’ve loved, these are the ones that just completely blew me away. If I had done a top 10, I could have included Alice Cooper, Cheap Trick, The Darkness, Pink Floyd, the Rolling Stones and tons more. But regardless of how good those shows were, the ones on this list were pretty much untouchable! So there you have it. Did you see any of these shows? What’s your all time favorite rock concerts? We’d like to hear your thoughts. Join the conversation below and let us know. We’d love to hear it.